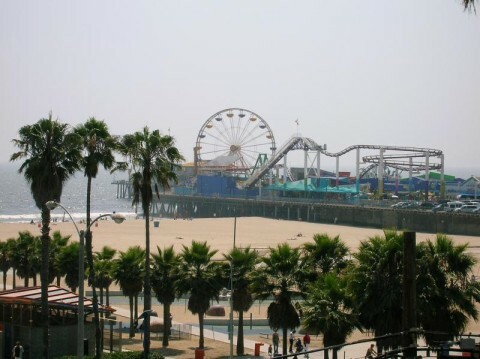 Today was such a beautiful day in Santa Monica, that it was really difficult to work. I was looking through some old photos and found this one taken of the pier from the Loews Hotel pool. I went to Third St Promenade and stopped at Borders to pick up the Summer issue of Adorn Magazine, which I am looking forward to flipping through. Here are some more of the shirts that are in stores now :) The dream tee is available at Cotton Hearts in McKinney, TX as well as B Boutique in Bloomington, IN. The rosettes shirt comes in Charcoal too and you can check them both out at South Moon Under.